Serendipity in practice has been well-documented in the history of discovery and innovations in science, now, in contemporary digital life there appears to be a resurgence of interest in the fleeting phenomenon. It is that it is more prevalent in the digital world? Is google giving us too much of what we know we are looking for? Or do we seek it out as our ability to recognise it has become stifled by the overwhelming burden of 24hr digital culture? In art, chance, or the spontaneous random event has played a vital role in the creative process for many artists and in art movements such as Fluxus, Dada and Situationalists. Many creative practioners’ court serendipity and acknowledge the positive role it plays in their practice and everyday life, however valuable it might be few have attempted to harness the process, to pursue it as a method for creative practice. In the field of creativity, receptivity and curiosity in research and practice is actively encouraged. Being prepared, curious and open-minded, about the world can provide a useful process to enable a leap of the imagination beyond rationality, to develop intuition and ideas of consciousness. 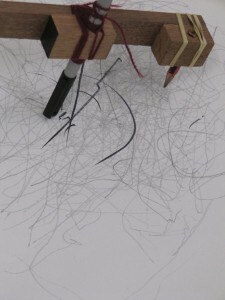 This particular approach to discovery, and of unexpectedly finding knowledge, material possibility and acting on that to positive effect, could be defined as Serendipity and as such used as a method in art. So what would that mean, to the researcher, investigator and explorer, in the process of art making? Artist Eilidh Mckay has been investigating these questions, and in doing so has coined the term Serendiptology, as ‘an application of oneself, and approach to ones work in the pursuit and study of serendipity’. As a Serendipitologist she actively embraces the mind-set that Pasteur spoke of, one that is conscious yet unconscious, controllable and chaotic. In creating the term Serendipitology she has allowed a structure to her thinking and process, which in turn has created a freedom and new outlook on the process perspective on how we might view art, in fact a new outlook on the sense of art. As a Serendiptologist she describes the moment of realisation as a ripe fruit falling, the drop can be seen as the moment of recognition, coincidence or the prepared mind and external situation coming together, ‘see it as a collaboration between you and your life’. So what has self-titled ‘Professor of Serendipitology’ created with this method? 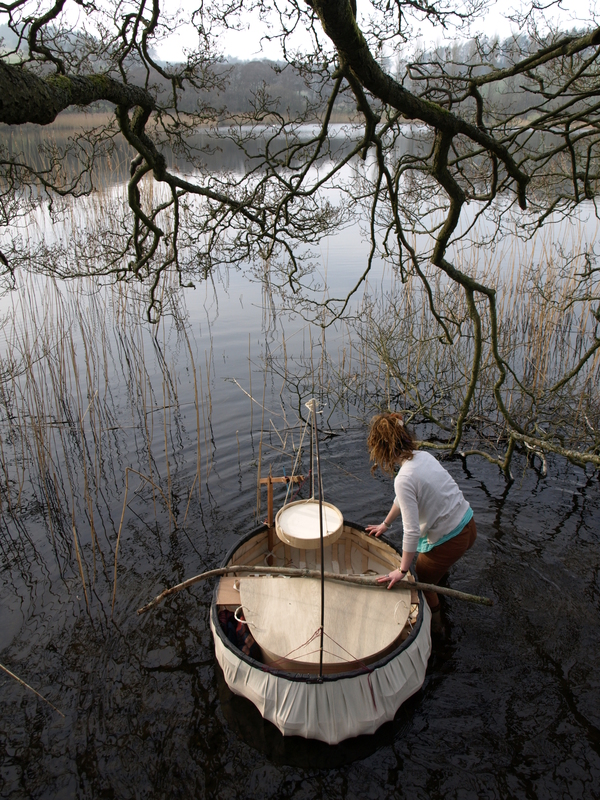 A coracle, a small, keel-less boat, made with lath and covered with waterproof calico, made for one person. It floats on water. It drifts through the world, the exterior conditions, speed, direction, manoverability in turn affect the interior conditions. 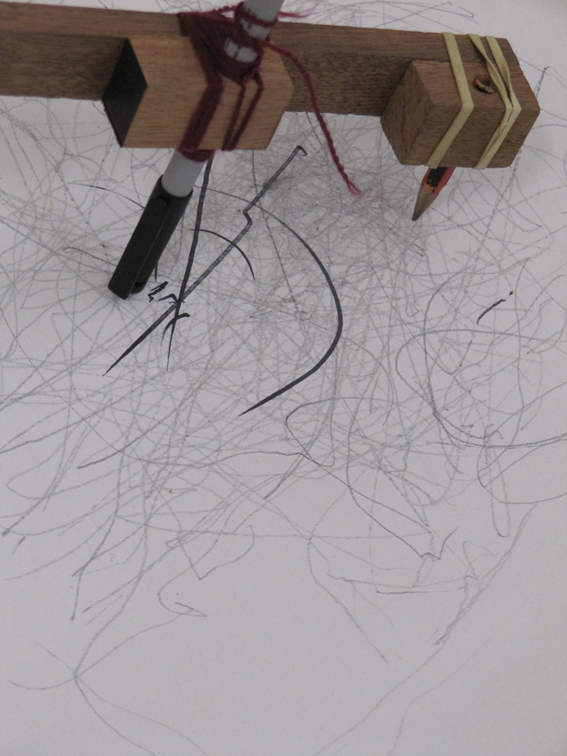 The boat contains a navigational aid, a drawing device consisting of an arm, a weighted table, which, along with the movement of the boat makes a drawing, which acts as a map, to be followed. Following yourself and being drawn by external influences, in a boat made for one. So how does Serendiptology as an approach fit with the SerenA process model of Serendipity? Makri, S. & Blandford, A. (2012). Can we design devices or vehicles that facilitate serendipity, or induce open-mindedness for those who are closed to its potential, and what of realisation or delight? Could we arrive at the unexpected in a methodical way, test and push whilst looking for the moments of breakdown? How can new opportunities in digital space, with linked open data, and semantic reasoning be harnessed? Could serendipity be measured, and so could we pursue demonstrated reasoning? The effective approach to the serendipitous may simply be in the consistency of the pursuit. In an attempt to explore serendipity can you catch it? Probably not. Whatever the contradiction is, it is on the move all the time, fleeting, will-o’-the-wisp, but you can certainly play with it. You can listen to interview with Mel about Serendipity and the SerenA project on BBC Radio 4, The Digital Human Series Episode ‘Chance’ to be aired on 11th June, 16.30. Makri, S. & Blandford, A. (2012). Coming Across Information Serendipitously: Part 1: A Process Model. To appear in Journal of Documentation.